Arthritis is a general term that means inflammation of the joints. Arthritis is characterized by redness, warmth, swelling, and pain in the joints. Rheumatoid arthritis is a type of chronic joint inflammation that usually occurs in joints on both sides of the body, such as hands, wrists, or knees. 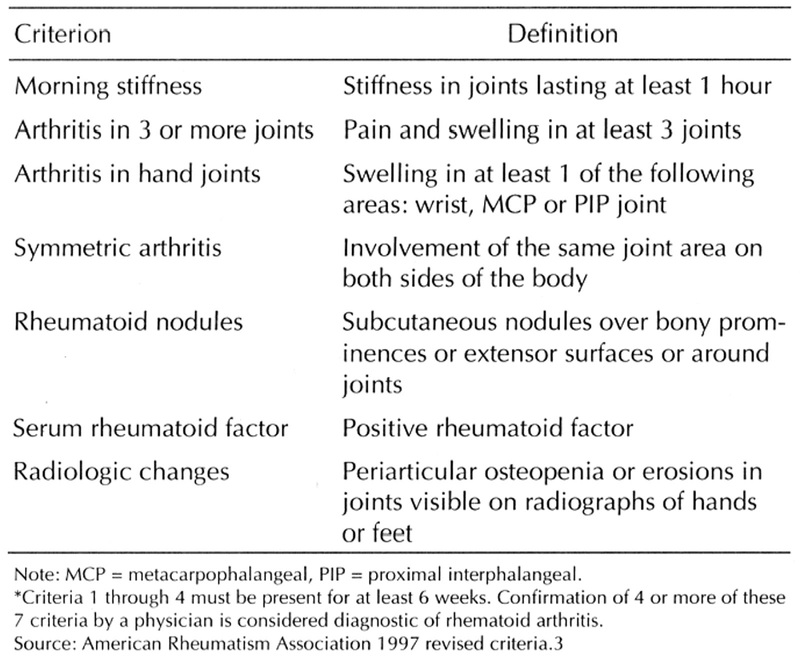 This symmetry helps distinguish rheumatoid arthritis from other types of arthritis. 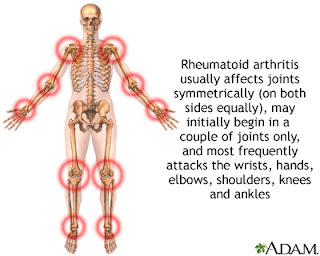 Rheumatoid arthritis is different effect on each person. 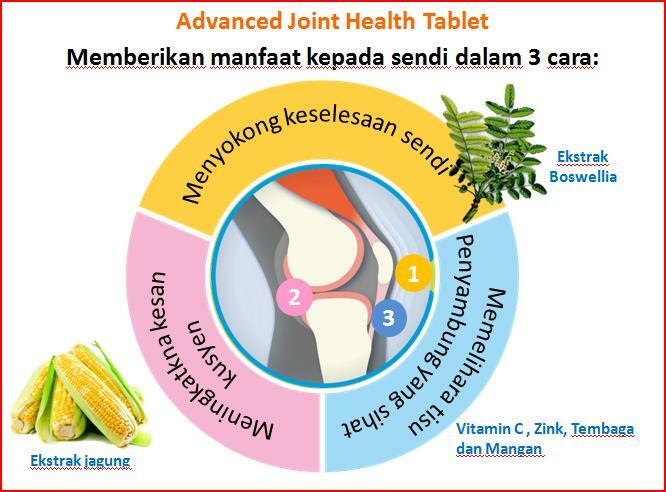 In some people, joint symptoms develop gradually over several years. 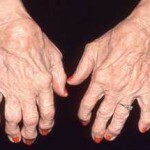 Whereas in some others, rheumatoid arthritis may develop rapidly. 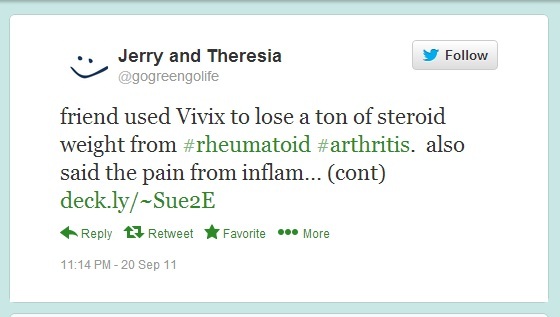 and there also may have rheumatoid arthritis for a certain period and then entered a period of remission. The exact cause of rheumatoid arthritis is not known for sure, but suspected the disease is caused by a combination of genetic, environmental, and hormonal. In rheumatoid arthritis, there are some things that trigger the immune system to attack the joints and sometimes other organs. Some theories suggest that there is a virus or bacteria may alter the immune system, causing the immune system to attack the joints. Another theory suggests that smoking can lead to getting rheumatoid arthritis. Research has not fully determine exactly what role genetics play in rheumatoid arthritis. However, some people seem to have a genetic or hereditary factors increase the susceptibility to rheumatoid arthritis. 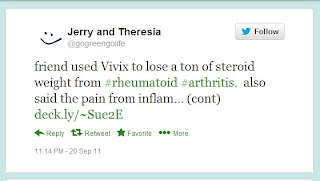 How Rheumatoid Arthritis Affects Our Bodies? 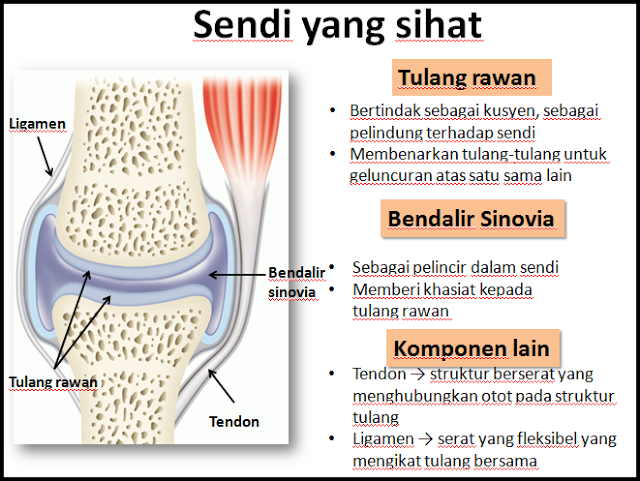 Once the immune system is triggered, immune cells migrate from the blood into the joints and joint-lining tissue, called synovium. In these places, the immune cells produce inflammatory substances that cause irritation, erode cartilage (cushioning material at the end of the bone), as well as swelling and inflammation of the lining of the joints. As the cartilage erodes, the space between the bones narrows. If the condition worsens, the bones could rub against one another. Inflammation of the lining of the joints causing excess fluid to the joints. Along layer expands, then this may erode the adjacent bone, resulting in damage to the bone fastener. 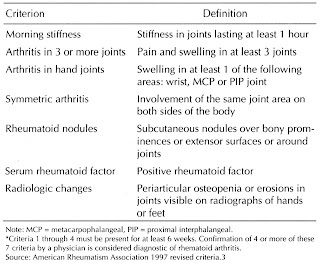 All of the above cause the joint to become very sore, swollen and feels warm to the touch. Most people are affected by rheumatoid arthritis have an antibody rheumatoid factor (RF) in their blood. But sometimes there are people who do not have these antibodies and rheumatoid arthritis affected because there are other diseases that can cause rheumatoid factor to be produced in the blood. 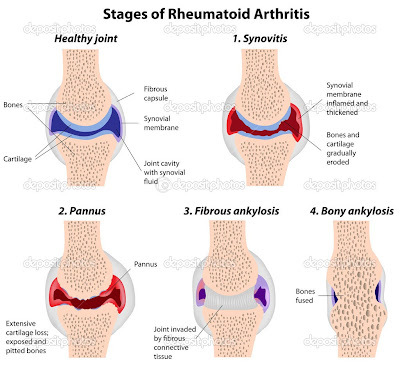 Therefore, the diagnosis of rheumatoid arthritis is based on a combination of joint disorders and blood test results. There are various ways to treat rheumatoid arthritis. Treatments include medications, rest and exercise, and surgery to repair damage to the joints. The type of treatment used must depend on several factors, which include among which age, overall health, medical history, and severity of arthritis. 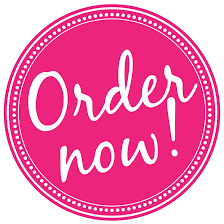 The new blood test and more specific for rheumatoid arthritis is cyclic citrulline antibody test, also called the anti-CCP. The presence of anti-CCP antibodies showed a general trend to a more aggressive rheumatoid arthritis. People with rheumatoid arthritis may have mild anemia. Blood tests can also reveal the erythrocyte sedimentation rate (ESR) or increased levels of C-reactive protein (CRP), which is a marker of inflammation. 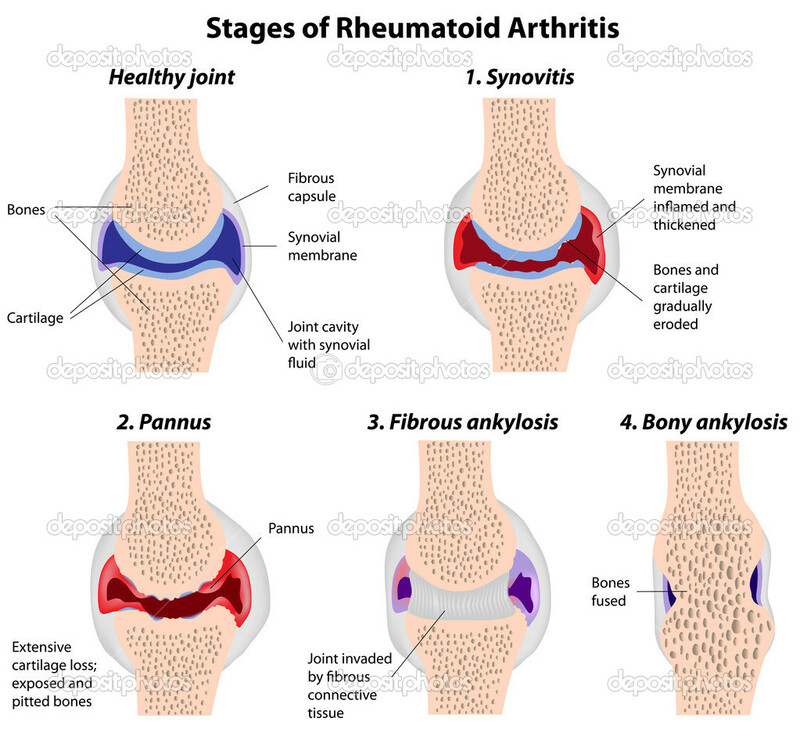 Some people with rheumatoid arthritis may also have positive results on tests of antinuclear antibodies (ANA), which indicate the presence of autoimmune disorders, whether these disorders rheumatoid arthritis or other autoimmune diseases. Although there is no cure for rheumatoid arthritis, but the early and aggressive treatment has been shown to help prevent disability. At age 24 I was diagnosed with Crohns disease and also suffered from rheumatoid arthritis. The medical world does not have good answers for autoimmune diseases. I was treated with steroids, anti-inflammatory drugs and a chemo-like poison was suggested. When I got some relief the drug side-effects were frightening and life threatening. 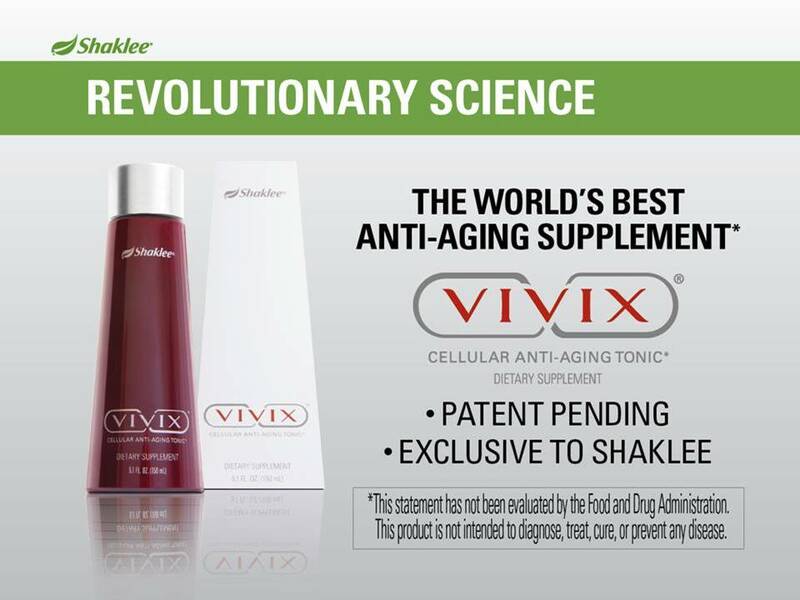 Then along came Shaklee’s Vivix. I took it for only a few weeks when it was again time to try to wean me off the meds to see if I could live without them. It had never worked before. This time, Crohns did not flare up again and I am free from arthritis symptoms. It has been 11 months of good health. I have never felt better! 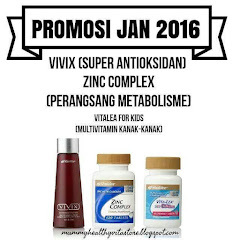 In addition to my everyday teaspoon of Vivix, I take Easy Gest, Omega Guard, and Vitalizer. Using gene-silencing, Resveratrol switched off genes involved in the initiation and progression of disease. Q. 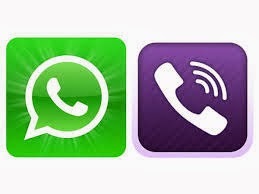 Who can benefit from Vivix? A. 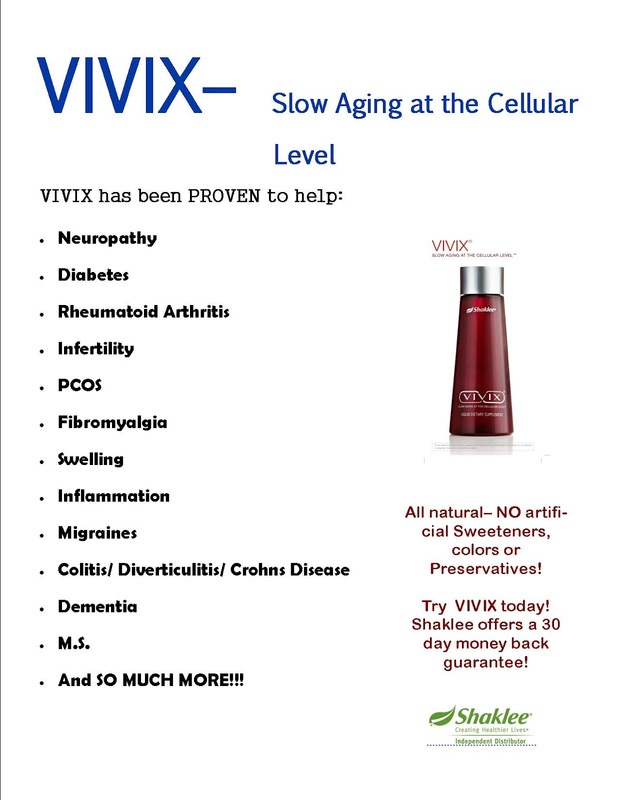 No, Vivix is an exclusive, concentrated liquid tonic dietary supplement that delivers the purest form of resveratrol and a highly potent polyphenol extract created from the only grape in nature with an extra chromosome. This unique blend of polyphenols includes ingredients that have been shown in laboratory studies to fight key mechanisms of cellular aging. * Each serving of Vivix delivers the equivalent amount of resveratrol found in 100 glasses of red wine. 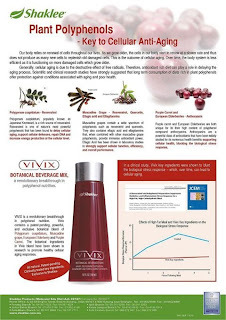 - One teaspoon of Vivix delivers the equivalent amount of the resveratrol found in 100 glasses of red wine. 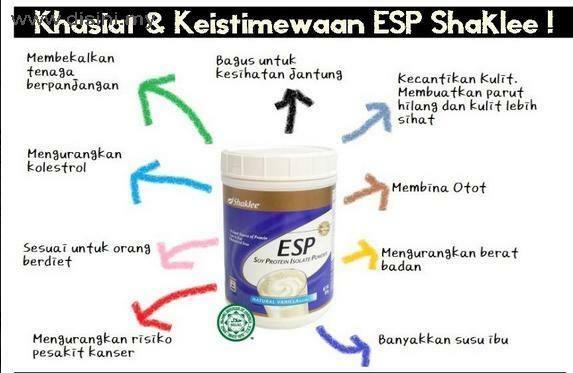 Assalamaualaikum semua..Alhamdulillah..kita sudahpun melangkah ke bulan yang baru iaitu OGOS :) ..Pejam celik pejam celik dah tak lama nak raya kan?Tinggal beberapa hari lagi kita umat Islam nak menyambut kedatangan Aidilfitri :) Puasa macam mana tahun ni? ?Cukup ke tidak? Heehe..Harap-harap semoga semua ibadah dan amalan kita sepanjang bulan Ramadhan ini diterima..kan? 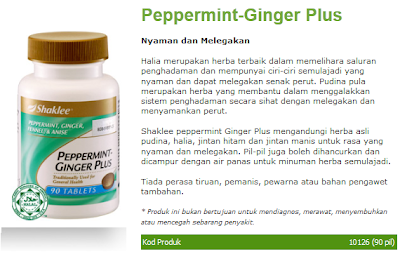 Peppermint Ginger Plus ini mengandungi herba asli pudina, halia, jintan manis dan jintan hitam yang membuatkan anda berasa sangat nyaman dan melegakan. Pil ini juga boleh dihancurkan dan dicampurkan dengan air panas untuk lebih melegakan dan menjadikan minuman herba semula jadi. 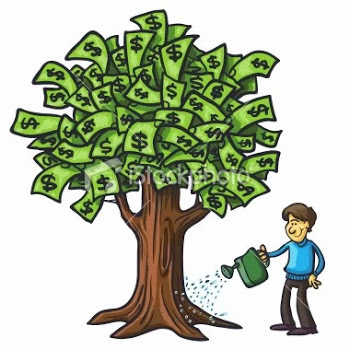 Tahukah anda, halia adalah herba terbaik untuk memelihara saluran penghadaman dan mempunyai ciri - ciri semulajadi yang nyaman dan dapat melegakan sakit perut. Manakalah pudina pula merupakan herba yang membantu dalam menggalakkan sistem penghadaman yang sihat dengan melegakan dan menyamankan perut. Sangat sesuai untuk ibu ibu hamil yang kerap mengalami masalah loya & angin dalam badan. 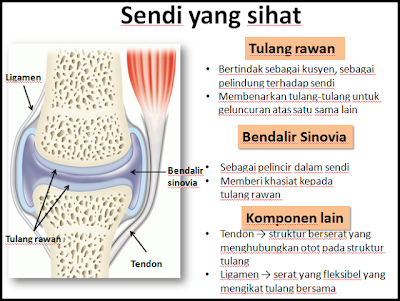 Secara klinikal sangat membantu dalam merawat atau mencegah masalah loya , gastrik, mabuk laut, sendawa dan penghadaman. 4) CEKUR MANIS (anise) : Digunakan oleh orang2 Mesir purba. 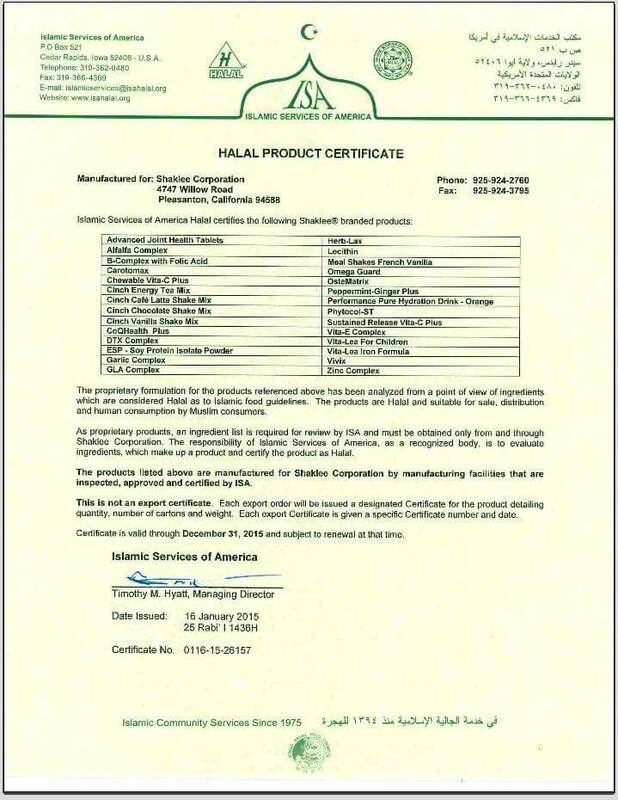 Ia melegakan masalah pencernaan dan gejala kesakitan haid, batuk dan kahak. Merangsang rembesan jus gastrik untuk pencernaan , menahan kulat yang menyebabkan penyakit kulit yang biasa ; melegakan haba dimusim panas dan lembap, memberi peredaran tenaga di dalam badan dan lembut pada perut.